I happen to be rather envious of that particular vehicle! Though if I had it I'm not sure how long it would be before the cylinder head was swapped onto the Amazon. [...] how did you come up with the *relative* timings of the inner/outer sections without that or without spinning it and scoping it? I wish I could say I scoped it, that would have been much cooler. I wired the CAS up, fixed a ~300mm dia cam/crank timing wheel to it, and rotated it very slowly. if you want to duplicate work for your own edification, look for the lines around 'correctEvent' and modify those if statements and contents thereof. OK, your method of figuring out the angles should be close enough at worst. I'll push my work up later today (probably, though very slow start, up at 1pm... sigh) and you can compare notes with what you did. Didn't happen, will try to get it done tonight. Sorry. Combined your two UI commits and gave them a decent comment, ish. Added some infrastructure to allow easy build of it. That is the business. Thank you. And sorry for the false lead with the diagram. Is this how you mean to have red replacing wherever black/blue were? As technically that could happen and save a fraction of a second in starting time. I don't think checking 11 is necessary at all, hence the former, but you could maybe mark 11 grey to indicate optional/pointless usage slash being part of the sequence. 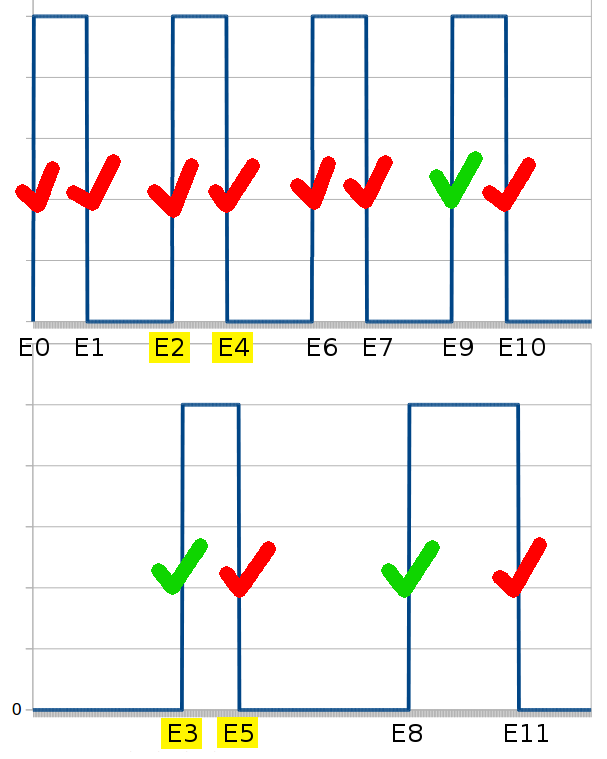 That leaves 4, (5), 6, 7 as a false sequence (red is fine) that will be counted up to and then overridden by 8 occurring first. 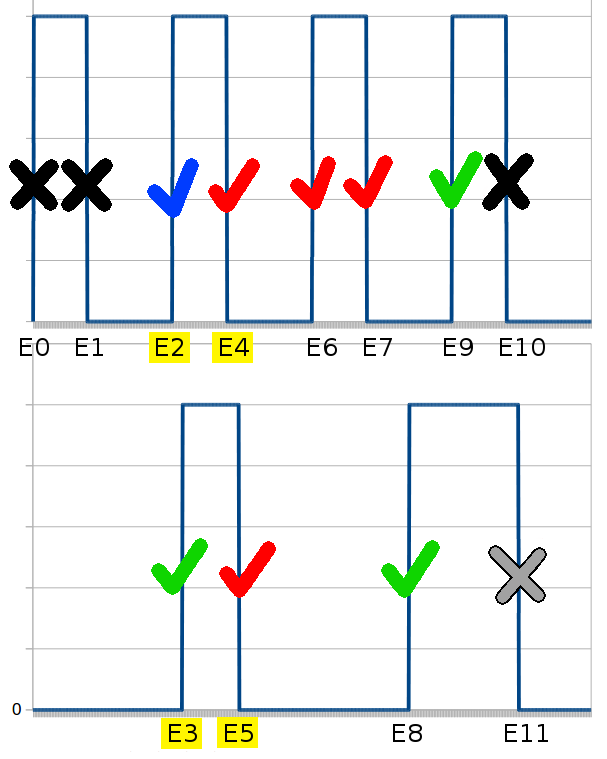 Whereas the identical sequence as listed above for black/blue will end with the count reaching the blue one and syncing before 3. Grey either looked too washed out or like black at a glance so I fancied it up.